From Sweden Laura flew directly to Shanghai, with only a short stop over at Schiphol Amsterdam airport! Here Laura performed with her regular ‘Chinese’ band led by Alec Haavik. 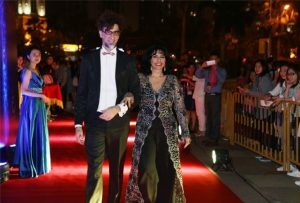 The occasion was a major event for project development of outlet centres. 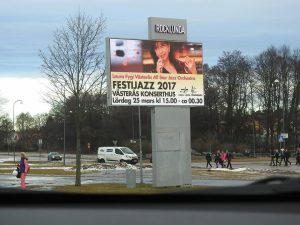 For the third time Laura was asked to perform at the Festijazz festival in Västerås, near Stockholm. The announcement coudn’t have been clearer…. a huge billboard! 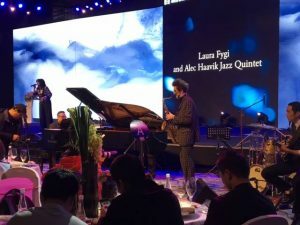 Laura performed with the Västerås All Star Jazz Orchestra but also brought her own musical director, Hans Vroomans, who accompanied her on the piano. 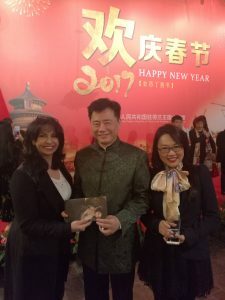 Chinese New Year’s reception at the Embassy of the People’s Republic of China with Ambassador Wu Ken, who was very pleased with my new cd! Signed a worldwide record deal with Universal Asia!! 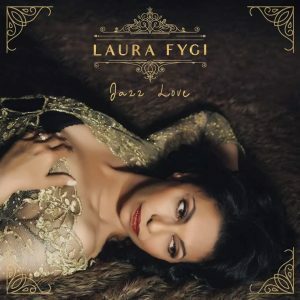 The first single is released in September and the CD, titled Jazz Love, in October 2016. Impressed by this special international award… The BrandLaureate International Brand Personality Award, for my admirable contribution to the world of music and entertainment industry. Other entertainers that preceeded me were Sir Cliff Richard, Aretha Franklin, Richard Clayderman, Plácido Domingo, Kenny Rogers a.o. 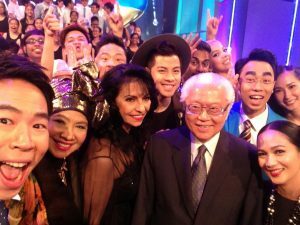 Memorable encounter with the President of Singapore, Mr. Tony Tan Keng Yam, after my performance for the Star Charity Gala. 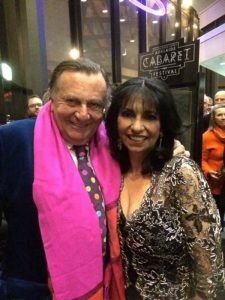 Finally performing in Australia at the invitation of Barry Humphries (Dame Edna). Two sold-out concerts in Adelaide. Loved the audience! And do the Dame Edna glasses suit me? 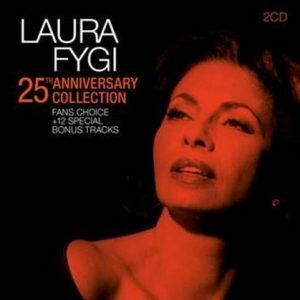 Proud of my anniversary album: 25 years as a solo artist!